I like giving my dog treats, and she of course enjoys eating them. What do I look for in dog treats? I like dog treats that have healthy ingredients, are made in the USA, and of course the dog has to think they taste good too. 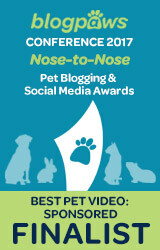 I was recently asked to try some natural gourmet dog treats made by CANIDAE® Natural Pet Food Company. CANIDAE makes all of their treats to the standards listed above, so I said yes. I decided that maybe it was time to branch out and contact a new treat taste tester for this review. Shiner is an excellent treat taste tester, but what about other dogs? Would they like these treats? I contacted my grandparents' Shetland Sheepdog, Bear, to see what his availability as a treat taste tester was and his schedule was completely open. What dog would turn down an opportunity like this? Wholesome ingredients like turky, brown rice, quinoa, and butternut squash. Crunchy texture which helps clean teeth. Easy to snap in half making them ideal for dogs of all sizes and perfect for training. Resealable pouch to keep the treats fresh and crunchy. Now all of that sounds great to us humans, doesn't it? But what about the ones that really matter - the dogs? What do they think about these CANIDAE Life Stages Bakery Snacks? During Bear's treat taste testing session, he was very interested in the treats and kept sniffing the bag. Then we gave him one and he loved them! He doesn't inhale his treats as quickly as Shiner, so he was able to savor the delicious flavors for a little bit longer. They are definitely a hit with him! You didn't think I'd do a dog treat review without my main assistant did you? 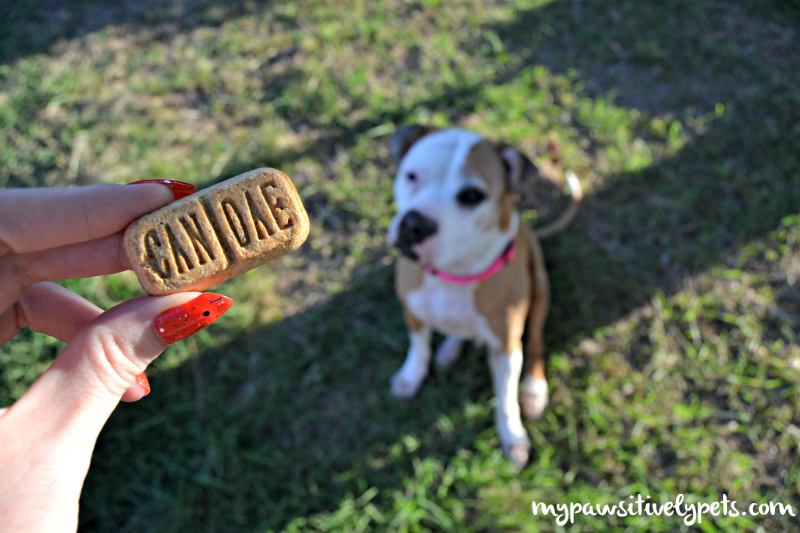 I let Shiner try out the CANIDAE Grain Free Pure Heaven Biscuits with Salmon and Sweet Potato. She loves her salmon and sweet potato after all! And she definitely loved these treats. Quinoa - a seed that is a great source of protein. Extra Virgin Olive Oil - contains a healthy combination of monounsaturated fats and polyphenols. Cinnamon - has many health benefits and is referred to as a "super-spice". Catching a CANIDAE natural gourmet dog treat. Want to try both of these CANIDAE natural gourmet dog treat recipes? 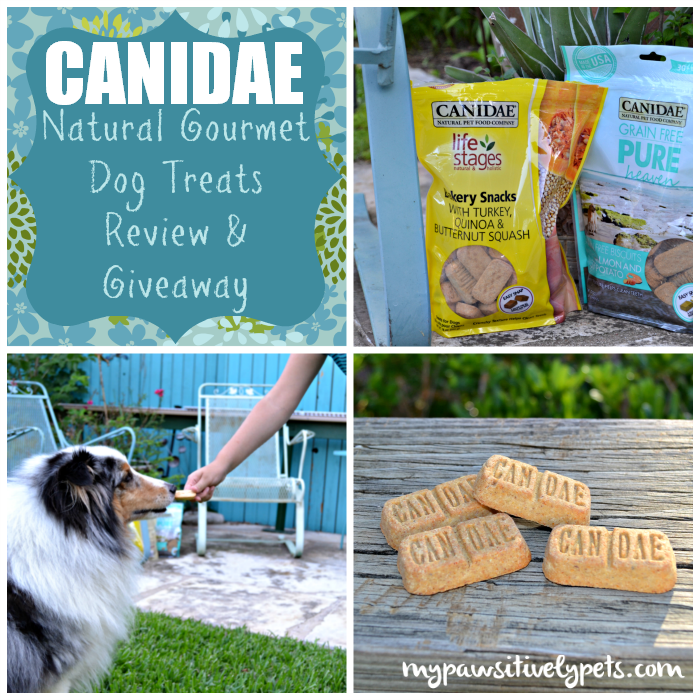 CANIDAE is offering a giveaway for our readers! 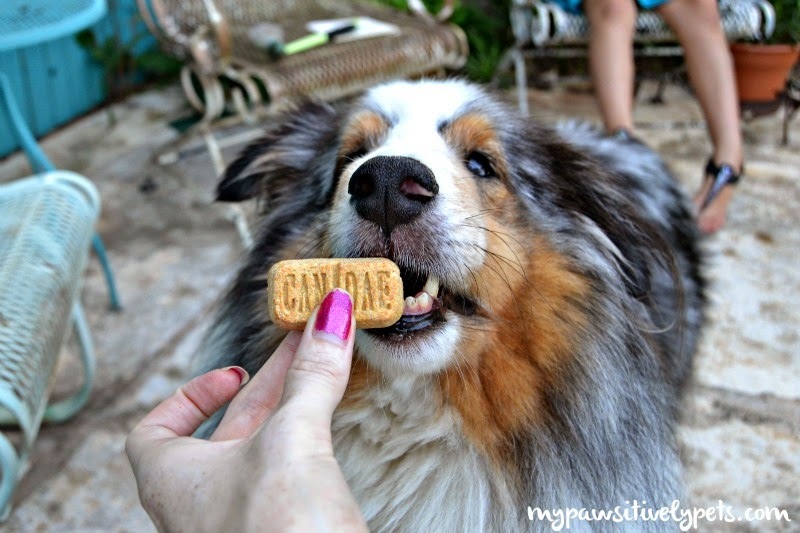 You can win the same treats that we reviewed - one bag of CANIDAE Life Stages Bakery Snacks with Turkey, Quinoa, & Butternut Squash AND one bag of CANIDAE Grain Free Pure Heaven Biscuits with Salmon and Sweet Potato. The giveaway will end on Wednesday July 2nd at midnight CST. This giveaway is open to US residents, ages 18+ only please. To enter, simply fill out the Rafflecopter form with as many entry options as you like. Good luck! 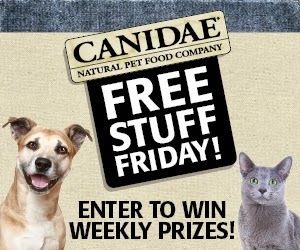 Want to win more free stuff from CANIDAE? Pay a visit to their Facebook Page and enter their ongoing weekly sweepstakes - "Free Stuff Friday". They draw a winner once a week, every week so don't miss out! This post is sponsored by CANIDAE. 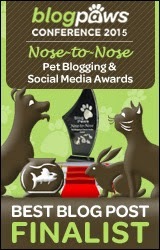 I am being compensated for my time in reviewing these products and helping spread the word about CANIDAE's natural gourmet dog treats, but Pawsitively Pets only shares information we feel is relevant to our readers. All opinions expressed in this review are our own. I can see it in Bears eyes, that they are tasty! 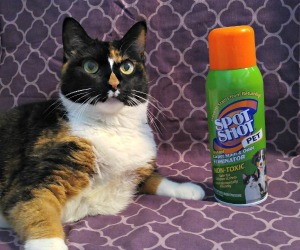 Good trick Shiner, BRAVO! Yum stuff is so much fun! Schooner and Skipper would love to try the PURE Heaven Biscuits With Duck & Chickpeas. Great giveaway for dogs to try a new treat. I need to check and see if they have Canidae at Petsmasrt. I think my dogs would enjoy all the varieties! My dogs would love the TidNips Chicken & Rice Treats. Sweet potatoes are a favorite at our house. Those treats do sound tasty. MMMM, you always have the best treats Shiner. We reviewed the cat treats and all three of us loved them. They all look great my crew would eat them up! My dogs love soft treats, so I'd say the Tidnips. Your parents dog is gorgeous. I'm glad that Bear's schedule was opened! (This made me laugh) Shiner did great catching the treat too! They sound delicious and I like that they can be broken in two pieces. Great review! Lol, yes it was a little comical! Love the gif of Shiner catching the treat! I would like my dog Stella to try the TidNips please. Thanks so much for this great giveaway! Those treats sound terrific. Ande would love some of those. I like that they put cinnamon in them. Good giveaway. I think my dogs would like any of them, but the PURE Heaven Biscuits with Salmon & Sweet Potato would be the first ones I'd choose for them. My sisters would love those. I don't like sweet potato and squash is always a 50/50 thing with me. Nice of you to branch out the testing...how did Shiner feel about it, though? She wasn't too keen on it ;) But there are still plenty of treats left over for her so she's OK with it. Never heard of this before, good luck to all who enters!!! These look delicious and I they have great ingredients - we will have to give them a try! Love the GIF by the way! I like the CANIDAE® Grain Free PURE Heaven Biscuits in duck and chickpeas. I think my dogs would like the TidNips the best- they prefer soft treats. My dog says that the pure heaven biscuits with duck & chickpeas would be her choice. The Pure Heaven biscuits with Salmon and Sweet Potatoes sounds great to my dogs! They really are so easy to break in half. I've tried with lots of treats, and can honestly say these are probably the easiest ones I've ever halved! My dogs would like the TidNips Multi-Protein Treats. They like soft treats.